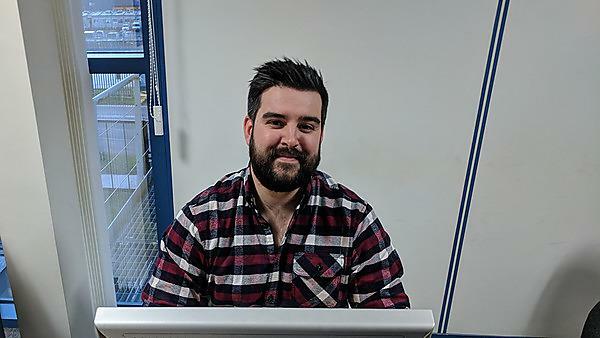 Since graduating in BA (Hons) Social Work from Plymouth in 2013, Gareth Benjamin has developed an interest in mental health and recently was honoured with winning the Mental Health Social Worker of the Year 2017 Gold Award. Gareth now works as a Social Worker for Livewell Southwest. Find out more about Gareth's story and why he recommends studying social work at Plymouth. “Since studying at Plymouth, I have been working for Plymouth Adult Social Care as a social worker. This was initially in the city wide duty team and then the generic adult west locality team. I developed an interest in mental health, and now I work within the Approved Mental Health Professionals Team and am currently undertaking my AMHP training. “The best thing about my career is meeting lots of people and working alongside them to make positive changes in their lives. "A recent highlight for me was winning the Mental Health Social Worker of the Year 2017 Gold Award. This was in recognition of a particular piece of practice I carried out, and I am proud to have worked with such a great team to achieve this." “I chose Plymouth due to the social work course having a good reputation and it’s great location – it’s so close to beaches and the moors, while still being large enough to provide everything you could want from a city. I never planned on staying in Plymouth, but enjoyed the location and the lifestyle so much that I came back to work and live here following my degree. “Plymouth prepared me well for the challenges of my career. My final year placement gave me an insight into the work I would be carrying out and the course helped me develop the skills needed to succeed in an environment where you must be creative in finding solutions. “Before my final placement I was sure I was going to work in Children’s Services, but after it I was convinced that Adult Services was where I wanted to work. My placement completely changed my career plans. “I would recommend studying at Plymouth because the support you receive will be stellar – my tutors and lecturers were always approachable and available when needed. "I made use of, and would recommend, the learning development service while studying and found this really helpful in developing my essay writing techniques. "If I were to start University again, I would tell myself to take advantage of all the opportunities which arise, both academically and socially. I wasn’t involved in any of the social and sport groups and would like to have made more time for this. "My favourite memory of my time at Plymouth was attending the summer ball during my last year – it was a brilliant way to celebrate the end of all the hard work that we put in." Want to make a rewarding and positive contribution to society? Social workers support children and families through child protection procedures, fostering and adoption and youth justice to name but a few. They also support adults with issues including disability, drug and alcohol dependency, mental health, homelessness and safeguarding. You'll spend over 170 days on real-life placements with adults and children, so you’ll graduate ready to start your professional career. You will get a head start – be eligible to apply to become a registered social worker as soon as you successfully complete the course. Stand out from the crowd with a degree recognised by the Health and Care Professions Council (HCPC). Gather insights and develop a real understanding of social work through our highly commended approach to integrated learning. Equip yourself with the skills to be a reflective and ethical practitioner, committed to lifelong learning.